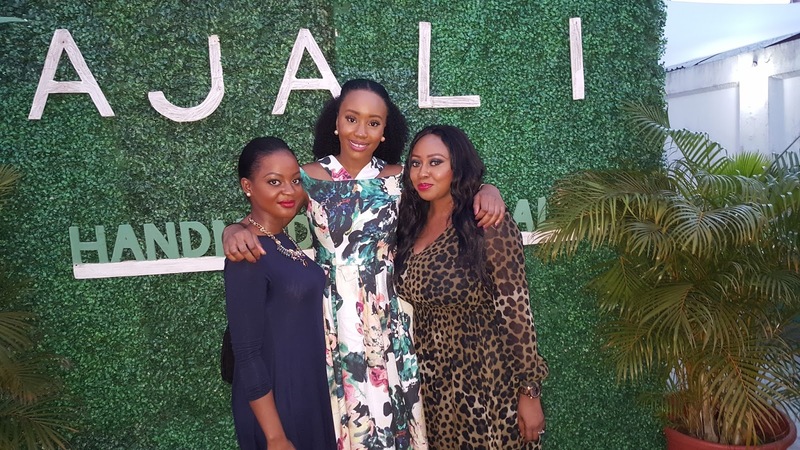 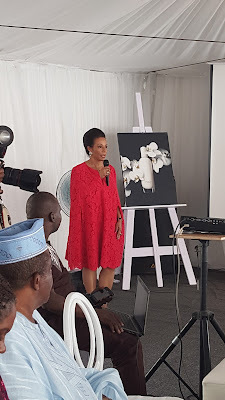 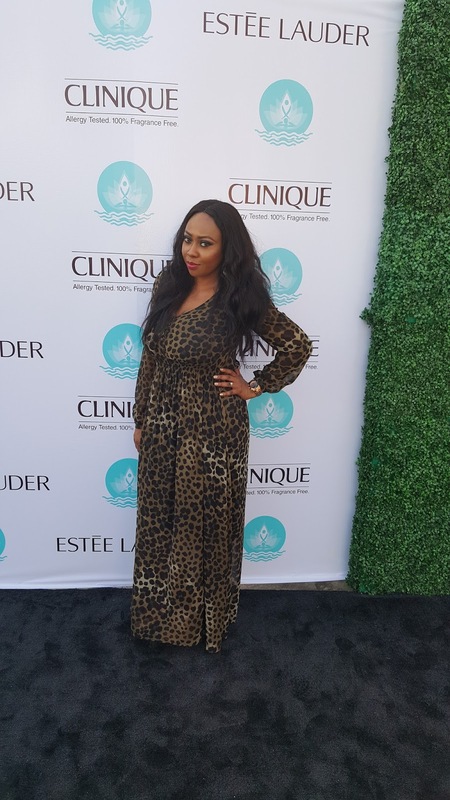 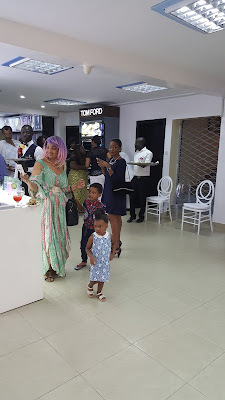 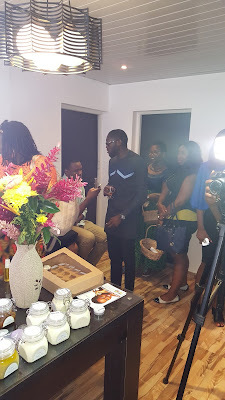 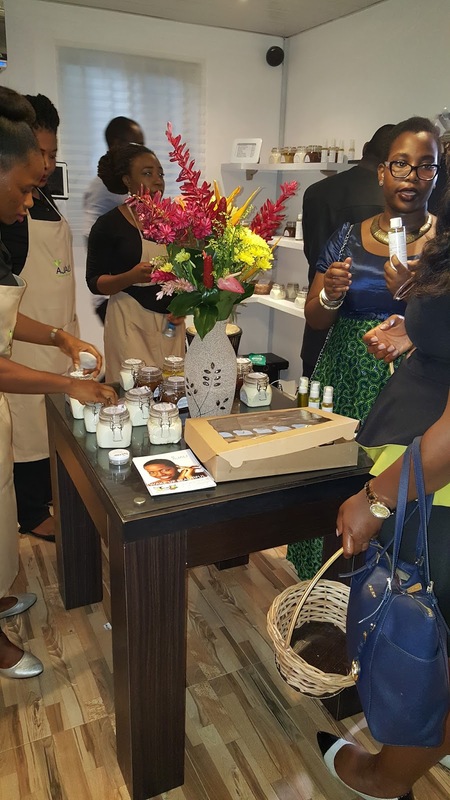 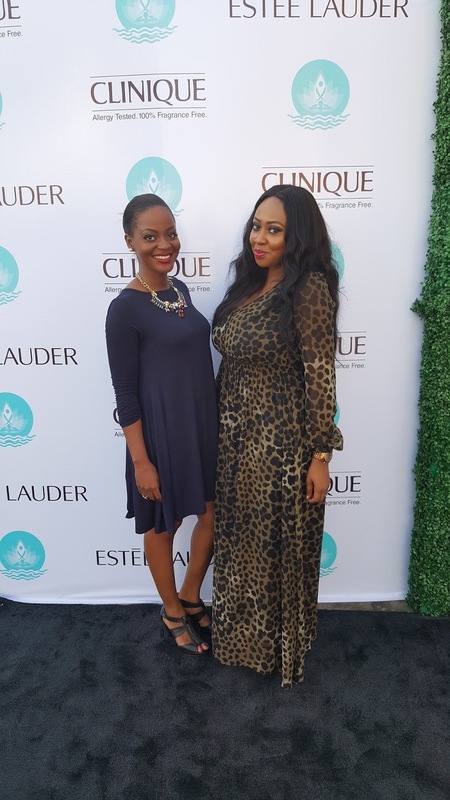 First up was the Estee Lauder & Clinique Skincare Launch which was held at the Nail Studio Beauty Center in Victoria Island. 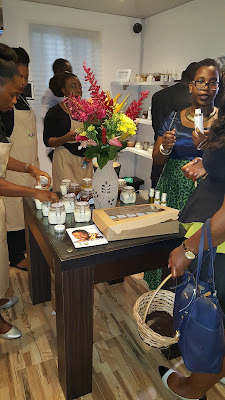 It's actually so refreshing to see more makeup and cosmetics brands coming into Nigeria, as they have realized there is a market here. Clinique is one of the sister brands of Estee Lauder, MAC, and Smashbox, all under the Estee Lauder company. 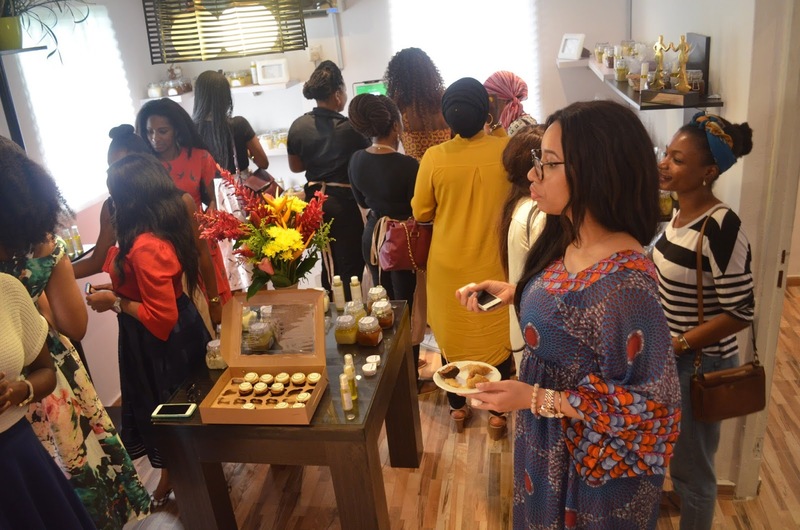 The brand started off with skincare, but later expanded and introduced their makeup line. 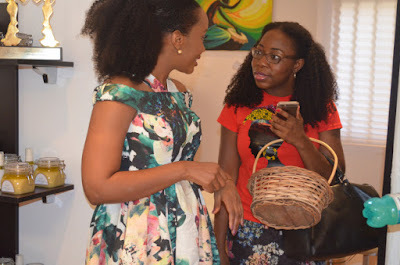 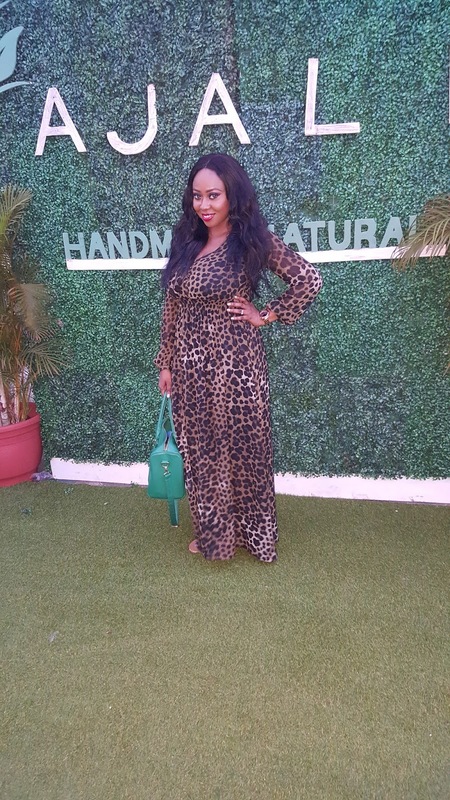 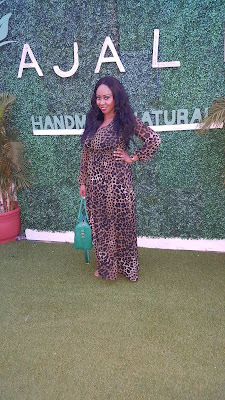 And then I was off to the AJALI Handmade Naturals grand opening at Lekki. 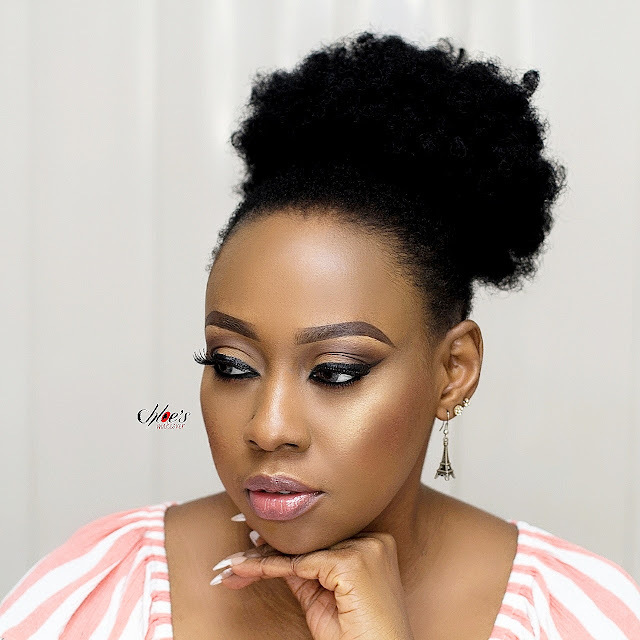 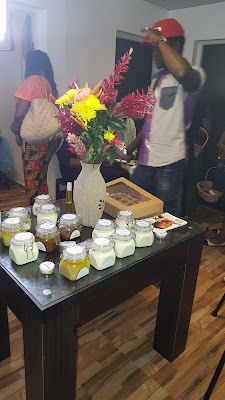 Ajali Handmade Naturals is a Nigerian Cosmetic range developed by blogger and beauty enthusiast Ifeyinwa Ojekwe. 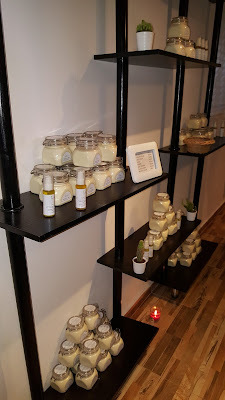 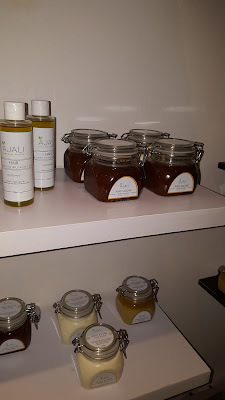 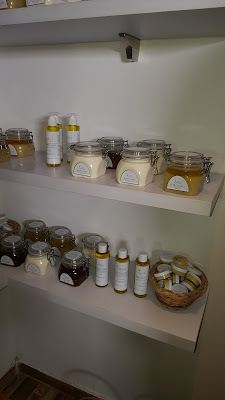 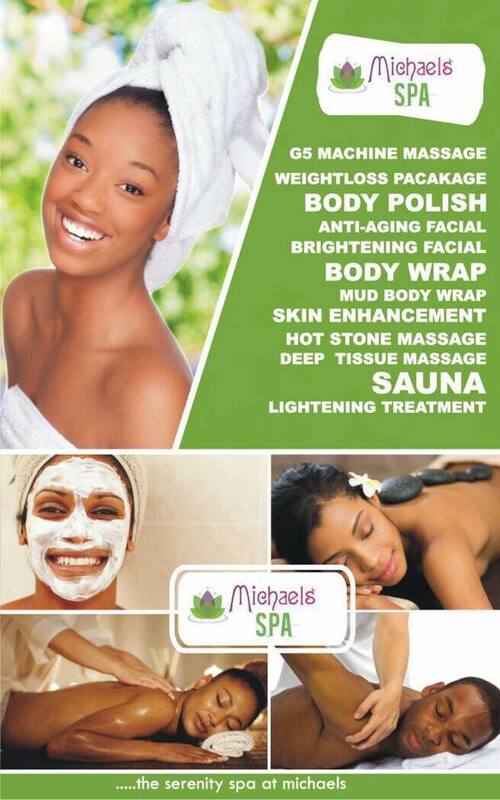 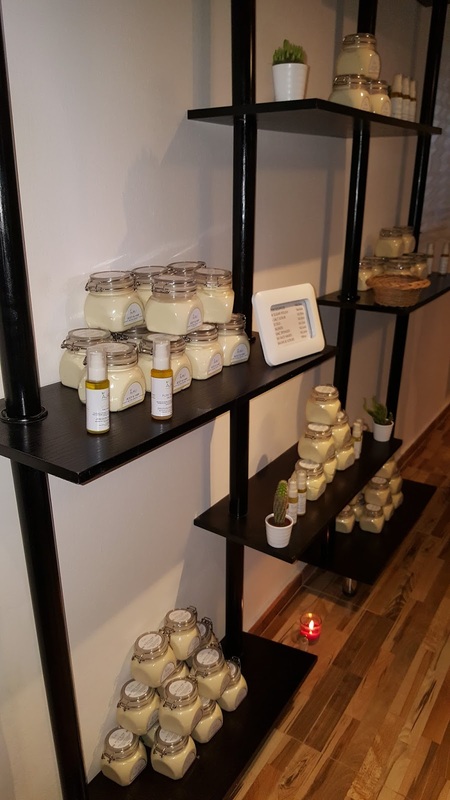 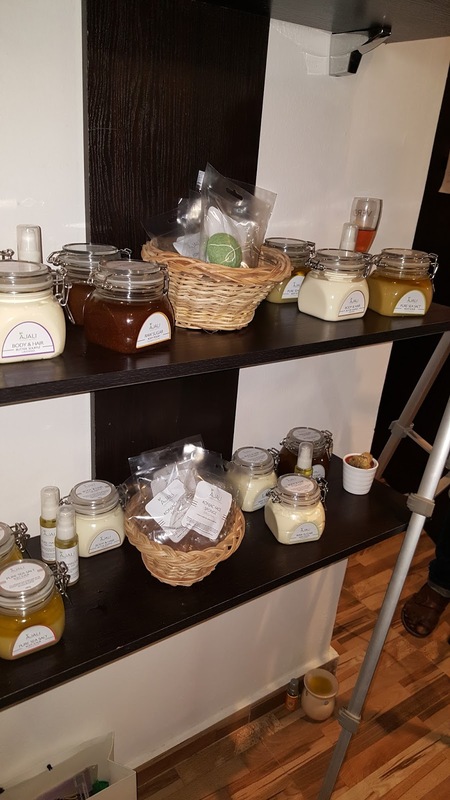 Ajali has got products ranging from body scrubs, butter, lip srucbs and balm, face mask and oils and so much more, and these products are all 100% natural. Over the years Ajali has created a niche for themselves by selling their products on their website and select retailers, as well as participating in various exhibitions, fairs, health and wellness events. 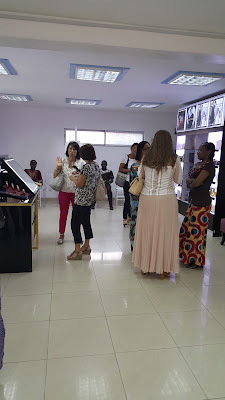 And finally, they opened the doors to their very own showroom and spa. 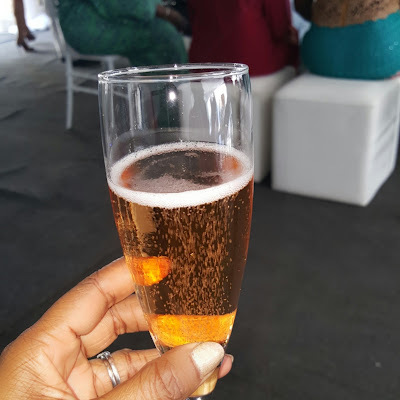 Ah I missed you at the Ajali event! 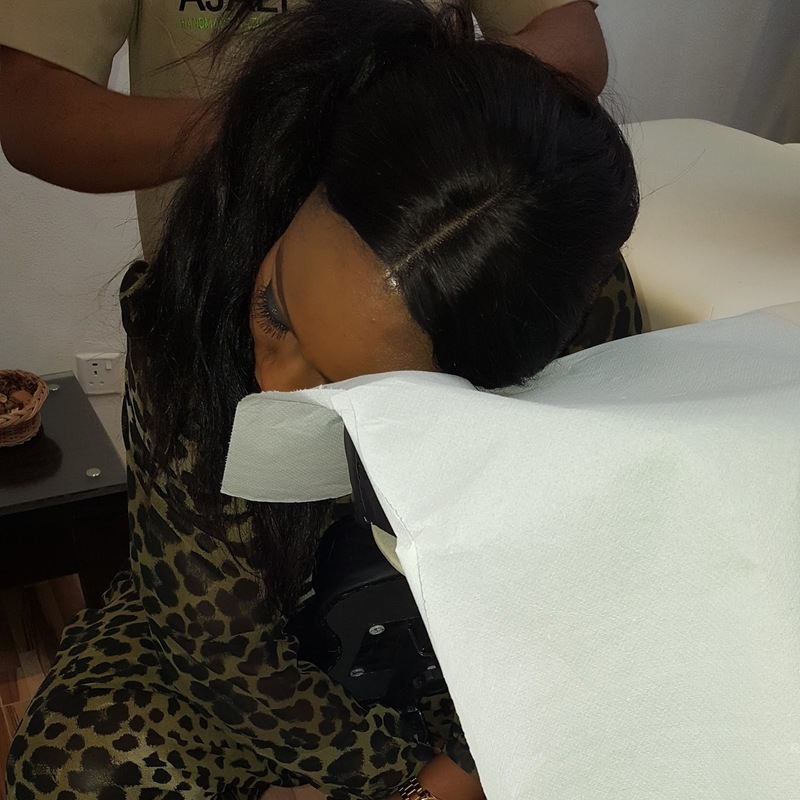 Wasn't the massage so necessary?! 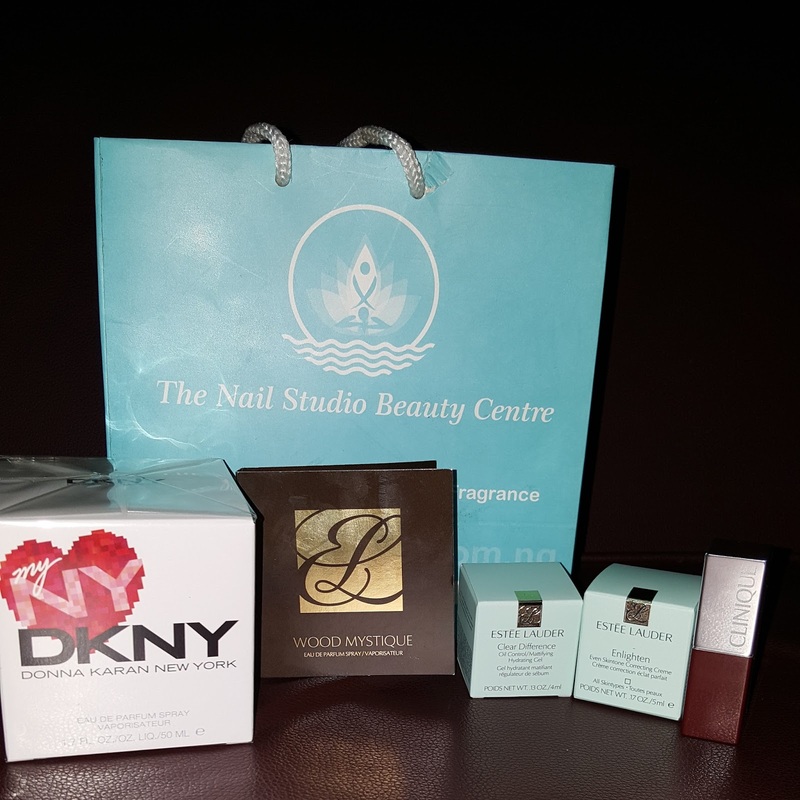 It's good that all the big brands are coming to Nigeria. 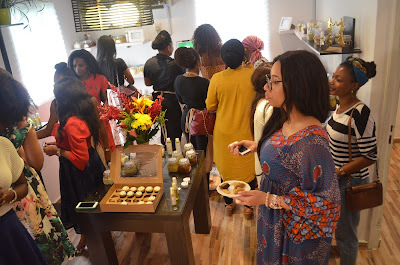 U look good babes. Thanks so much for coming dear.